In what will be the final regular season game of the 2017 season, the Buckeyes CFB Playoffs hopes are still alive and well, but before getting too ahead of ourselves, the Buckeyes will face their archrival in Ann Arbor in The Game before facing Wisconsin in the BIG 10 Championship game. The stage is set for another clash between rivals Ohio State and Michigan, Urban Meyer versus Jim Harbaugh will square off for the third time with Meyer looking for his third straight victory over Harbaugh, while Harbaugh is looking to secure his first victory over their most hated rival. This collision will not be without emotion on either side after the twitter was among former Alums is still on-going. Current Michigan RB Karan Higdon stated earlier this week that “everyone here knows that we won that game last year”, noting the questionable spot from a season ago. The bitterness will plunge this game on a different level, as the Wolverines are looking to dash the Buckeyes’ CFB Playoffs hopes to avenge last season perceived screw job by biased referees. This year, Ohio State will be wearing another alternate uniform, and what better way to debut them during The Game when everyone will be watching. Per The Lantern, these uniforms will be all white, with wolf accents to make the uniform pop. The helmets will also include a Terry Glenn decal, dedicating their respects to a Buckeye Legend who passed away earlier this week from a car accident. This will give the Buckeyes added motivation as they travel into a hostile environment with a lot on the line. 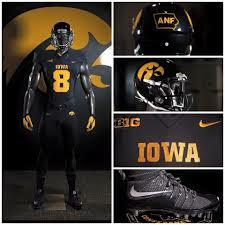 The uniforms will also resonate and appeal to prospective recruiting targets, which would not hurt at all, to be honest. With Coach Meyer and his assistants constantly get top tier, hidden gems in, but this will definitely help their cause. 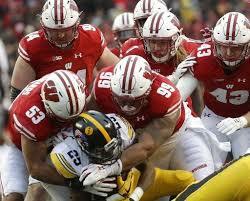 The Game is a yearly tradition, but with so much at stake and with an excess amount of national exposure, this game will be one to watch and it will be as intense as previous years because the Wolverines are in a position to upset the Buckeyes and ruin their dreams of another playoff berth. J.T. Barrett will look to become the first Buckeye starter at QB to go 4-0 against TTUN and after last season, this will not be an easy task to accomplish. He will lean on his big-game experience to will his team to victory. He has not had to depend on his arm the last couple of weeks, but I do not anticipate that he would need to during this game due to the emergence of Dobbins and Weber in the run game. #83 Terry McLaurin will look to have a big game, dedicated to Terry Glenn and his family. He and the rest of Zone 6 will look to make clutch and timely plays for Barrett to keep the chains moving. The value of earning their Gold Pants, their last pair of them as well, will fuel this Buckeye team, but they will most likely be tested early and often by another stout front seven that could give them fits. There is no doubt that defenses can certainly win championships, but during this game, the defense needs to come up big to stop the Wolverine power running game. They possess three capable ball carriers that have their own style of running, and four if you include Hill, their goal line FB who scored twice against the Buckeyes last year. The biggest question for the Buckeyes defense will be, who will end up being the starting QB? Peterman has not been cleared of his concussion issues and it is a toss-up between O’Korn and Speight, who is also coming off of an injury. The Opposing WR’s will be a tough test for the secondary, who has had the tendency to give up a few bad plays or penalties here and there. Thankfully, no one was ejected in the last game, so it will be something to watch if any Buckeye, whether on offense or defense lets their emotions get the best of them, but I think each side will be up to the task of handling business. I cannot stress what a rivalry game can do, and the outcome is usually unpredictable. I would like to see a blowout, but I know it’ll be another hard-fought BIG 10 game that will feature the power running game often. With the Buckeyes and the Wolverines having something to play for, Ohio State a potential CFB Playoff berth and Michigan playing to dash those hopes, it will be another fun edition of The Game. This matchup pits #9 Ohio State and Illinois on Senior Day, which will obviously be their last game at the Shoe and it has the makings of another emotional game. Ohio State will be facing a team that is struggling to find their identity and also a team that still has not gotten a conference win this season, that is sitting at 2-8 overall. The Buckeyes will not overlook this Illini team because besides this being their last home game, the Illibuck trophy is up for grabs again. Since 2001, Illibuck has been stashed away at Ohio State, but a baller named Juice Williams upset the Buckeyes and took it away for a short vacation to Champagne. There are many players that will ensure that chaos does not happen. From J.T. Barrett to Damon Webb, each Senior will play their hearts out. 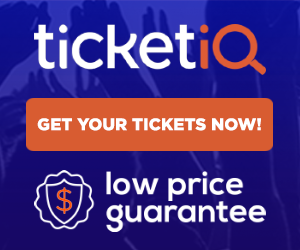 The underclassmen and potential early entries for the draft will also ensure that their Seniors are not disappointed in their last game at home, especially before the Game. One thing of concern will be J.T. Barrett and turnovers. In the last two games, he has thrown 6, yes 6 interceptions. He has difficulties with accuracy and ball placement, but this game will present an opportunity to fix and adjust prior to traveling to Ann Arbor for the Game. Last week, Barrett was all over the place in the passing attack, but he rarely needed to air it out because the run game was unstoppable against a normally stout Spartan defense. The Buckeyes beat the snot out of them and routed them, and with their playoff hopes on life support, they cannot afford any more hiccups and they must win out and win the conference, but that is not what is important. The important thing for them is staying focused and taking care of the ball, and that starts with Barrett at the helm. This Lovie Smith led defense is surrendering 204.1 passing yards and 198.9 rushing yards per game, but they have not faced the caliber and types of athletes that the Buckeyes have on their roster. Look for Meyer to establish the run early and often to soften the coverage for play action passes. This will be a confidence booster and they will need all they can get. The question on everyone’s mind, and mine especially, is who will get a targeting penalty this time? Ward, Bosa, Jones, and Arnette have been ejected for targeting and it has been a trend for this team this year. The Buckeyes cannot afford any stupid targeting penalties, especially in the second half because another pair of gold pants will be on the line against the TTUN. Jaylin Holmes, Tracy Sprinkle, Dante Booker, Chris Worley, Tyquan Lewis, Michael Hill, and Erick Smith will play their last game and they would love to finish the season with a conference championship, their only goal right now. There are others like Bosa, Baker, Ward, Arnette, and Hubbard, who may leave after this season, but a lot is on the line in this game, even with an overmatched team in your way. Illinois will have a new QB after Dudek went down with an injury, and may not be back next year. George has thrown 10 INT’s so far during his time in the fire and I am sure that the defense will force a few due to his inexperience. The duo of Weber and Dobbins will be featured in this contest a lot. They ran all over Michigan State and will look to add to their momentum just in time for the game. They all do not want to let their Seniors down in their last game at the Shoe, especially when Weber might potentially leave after this season. Billy Price and Jamarco Jones, along with Barrett will fight alongside both RB’s for Illibuck and for bragging rights and Zone 6 will also try to explode onto the scene to put the game away early to rest for the Game. This game is their last chance to correct any and all quirks on the offensive side of the ball to walk into Ann Arbor with added momentum and focus because the Game is always exciting and unpredictable. Ohio State picks up where they left off in the running game and finely tunes the passing attack to prepare for TTUN. Barrett throws at least one pick in the game, but has 3 TD’s to Zone 6 and a rushing TD. The RB’s run wild and salt the game away and combine for 180 yards and 4 scores en route to a 56-6 thrashing of Illinois. 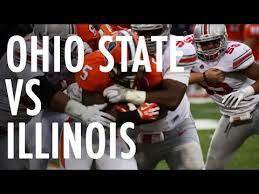 Ohio State defeats Illinois 56-6. Urban Meyer and his team rebounded after blowing it against Iowa. After abandoning the running game, the Buckeyes got back to what they do best and they ran down Michigan State’s throats for 335 yards and 4 scores. The Running Backs had a field day, along with J.T. Barrett as Weber finished the game with just 9 carries but bulled his way for 162 yards and 2 scores. Dobbins was not to be outdone as he finished with 18 carries for 124 yards and a receiving TD. Both Dobbins and Weber found success but Weber had the better day after bursting through the defense with an 82-yard score. Weber also averaged 18 YPC while Dobbins was averaging 6.9 YPC, which isn’t bad at all. Barrett had another off, but efficient day throwing for 183 yards and 2 TD’s but he also made a few bad throws that ended up failing to convert on 3rd down or adding to his interception count. This was another game that added more questions to the fire, but the coaches will continue to work with his decision-making process to prevent more interceptions. Barrett also added 2 rushing TD’s to his stat line along with 55 rushing yards. The defense played to their potential and now it is too late for the what ifs. The Silver Bullets played without two starting LB’s, Dante Booker and Jerome Baker, but they showed no lack of talent or dropoff. Tuf Borland and Malik Harrison played their tails off and Chris Worley played well when put back into his OLB spot. The Rushmen came in with a fire in their belly, and they were disruptive and they harrassed Lewerke the entire game. They sacked him and back-up Messiah Weaver adding to the legend of Coach Johnson. The DB’s also came up big as they secured 2 picks as they held the Spartans best WR to zero catches. Now all Ohio State can do and should focus on, is the BIG 10 Championship and put all the CFB Playoff talk on the backburner. They control their destiny within the conference and if it all falls into place and if teams ahead stumble, you never know. Onward to the Battle for Illibuck at home before traveling up north for the game. Go Bucks! After a disastrous visit to Kinnick Stadium, the Buckeyes will return to Columbus to try to salvage their season against Michigan State. Like the Iowa game, this will be another trap game with huge implications involving a potential conference title game berth. Michigan State is coming to Columbus after defeating #7 Penn State at home with a last second FG and Ohio State is coming back home after getting blown out by an unranked Iowa team that forced J.T. Barrett to uncharacteristically turn the ball over 4 times via interceptions. 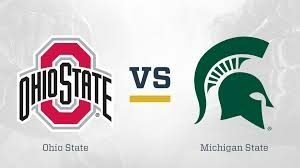 This installment of Michigan State versus Ohio State will feature two 7-2 teams that are both 5-1 in conference play that are both looking to claim first place in the East. 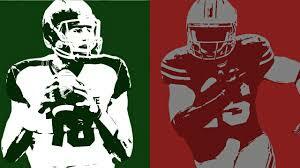 Dantonio has been a thorn in Meyer’s side and he holds two victories over Meyer. This game is just as dangerous for the Buckeyes because in big time, big implication types of games, the Buckeyes coaches tend to get too cute for comfort and they forget that their tailbacks are dangerously and good. This usually leads to losses, whether close or in blowout fashion and these Spartans have beaten the Buckeyes when they cannot afford to take a loss. 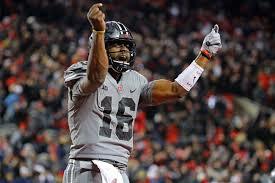 There are many storylines for the Buckeyes in the game but the main one will be focused on J.T. Barrett and if he can move past last weeks game. Another dominant story would be can the Silver Bullets recover and be dominant once again because they were horrible last week after letting the opposing TE’s have a field day? Will the RB’s get the ball would be another one to add to the list too. On the other side, Lewerke is coming off of consecutive 400 passing yard games and will look to dice up the Ohio State secondary. Will L.J. Scott run wild again against the LB’s who looked confused the entire game? Will the Spartan defense achieve the same results as the Hawkeye defense? Too many factors and variables make it difficult to accurately predict the outcome of this game, but apparently, this game will have an angry Ohio State team that is looking to salvage their season, but that does not amount to much. We have seen these “angry” games that were too close for comfort, so I will not buy into it this week. I foresee another questionable gameplan with uber-conservative playcalling. A balance in play calling will be there but check down passes will be featured a lot to prevent turnovers. Buckeyes squeak out a win 24-21. The CFB Playoffs debuted this week and the Buckeyes remained and was slotted at the #6 spot in the initial rankings. This is the perfect spot for the Buckeyes as they continue to play at a higher level as they continue to build their resume after the heartbreaker against Oklahoma. Their offense has gelled together and they continue to scorch opposing defenses to earn style points to place them into further consideration for another CFB Playoff berth. This week, the Buckeyes travel to Kinnick Stadium as they look to continue their hot streak after their miracle comeback by J.T. Barrett and his brothers on defense. They erased an 18-point deficit and beat the then #2 Nittany Lions in one of the wildest games of the season, and most likely the best game of the year so far. This game will pit #6 against an unranked Iowa team that could catch the Buckeyes sleeping after their dramatic win at home. A potential hangover after battling to survive is possible when away from the confines of Columbus, and I am positive that the coaches have drilled that into their heads as they prepare to face another scrappy Iowa defense. This is one of three of the trap games the Buckeyes will have. This uniform choice will ignite this crowd and give the team added motivation to the fire. It would be a major letdown if the Buckeyes fall in this contest and it would all but ruin their chances of making the CFB Playoffs. If Urban Meyer and company wants another shot at redemption, he must get 110% from every unit, especially for his Special Teams unit who have been the Achilles heel so far this season. In what has been the most unfortunate surprises for the team this season, Special teams has been flat-out bad this season. 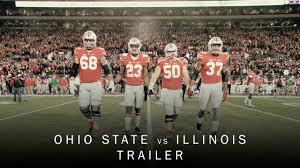 This is Coach Meyer’s unit and they have not been playing to his or the Ohio State standard and other teams have been taking advantage of this weakness and they have been making them pay for 8 consecutive games. Per Ohiostatebuckeyes.com, Ohio State has been decent on kick and punt returns so far this season. They have 19 for 535 yards and 15 for 73, both without any TD’s. Their only potential TD was turned away after another constant theme, penalties negated and wiped it away. Opponents have scorched the Buckeyes unit in kick returns. They have 52 total kick returns for 988 yards and I believe 2 TD’s, a 100-yarder to Nebraska and the 97-yarder on the opening kickoff captured above. On punt returns, this unit is flawless giving up zero yardage on returns. One was blocked and Chrisman has shanked a couple, but they are not as bad as the kickoff unit. If they want to win and win comfortably, they need to improve as a whole unit. The angled kickoffs seem to be putting them out of position, but we will see what improvements will be made. The J.T. Barrett show will continue to be the primary show followed closely by the Silver Bullets. 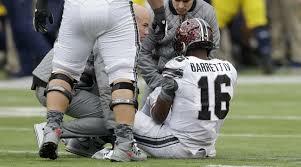 Barrett has showed his resolve by performing against Penn State. This game will not have the flash, but it will be another hard fought contest against Josey Jewell, who has been the heart and soul of the Hawkeyes defense. Barrett will be challenged offensively while facing the #12 scoring defense in the country after facing the top-ranked defense. Ohio State ranks 18th in the nation, so the drop off isn’t that severe, but it should be another good, hard-fought contest. The margin in PPG is small with Iowa holding the edge giving up 17.4 PPG while Ohio State is giving up 18.3 PPG. Iowa has surrendered 15 TD’s and 11 FG’s to Ohio State’s 20 TD’s and 2 FG’s. Both teams are active in the sack department with the Buckeyes holding the small edge with their 20 sacks to Iowa’s 19. Ohio State’s defense is disruptive and is #2 in the nation in TFL’s and 12th in total defense. 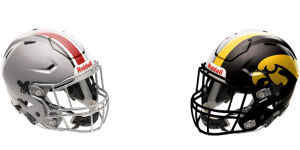 Iowa’s offense will need to scheme against the Silver Bullets in order to prevent another Buckeye blowout. The same goes for their defense. They need to play disciplined in order to stop Barrett and his playmakers. The Buckeyes will look to establish balance into their gameplan to confuse Jewell. I feel like the momentum will be too much to handle for the Hawkeyes and that they run into a buzzsaw even though they are at home. Ranked 6th in the CFB Playoffs, the Buckeye will take it as a slight, but they are in the correct place, but that won’t stop them from coming into this game angry and motivated. Barrett will continue his hot streak, but the RB’s will shine the most to prove a point.